I guess we can all rest better tonight. 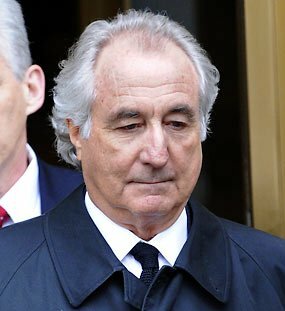 Madoff’s victims won’t receive much compensation for their losses; however, we can take heart from the fact that we’ll pay his room, board, and other expenses for the rest of his short life. At least he won’t be out on the streets, mugging us, shooting us, or taking our money in fraudulent investment schemes. But wait — that wouldn’t have happened anyway. I suspect the sentence means very little to Madoff. He’s a ruined, broken old man who is reviled around the world. What more could have been done to him that would have made any difference, for him or for us?